We offer a grey squirrel eradication service for your home and business. Grey squirrels can cause considerable damage when they enter our homes and businesses. As they are excellent climbers, they find it no problem to climb onto the roofs of properties and gain access under the eaves or even chew holes in fascias and soffits. 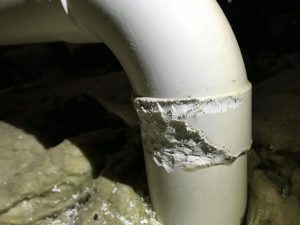 They are rodents, just like rats and mice, so can cause significant chewing damage to roof timbers, guttering, roof felt, water pipes, electrical wires and stored materials. We are specialists in squirrel control and use a variety of traps to eradicate squirrels. If you are unsure as to whether you have a squirrel infestation, then arrange a rodent inspection with us. Our qualified rodent expert will conduct a thorough property survey and if squirrel activity is confirmed, a control plan will be implemented. We also provide a proofing service that will identify and block any squirrel access points using an array of professional products. We will carry out a full survey of your property to determine the extent of the infestation, levels of infestation and how the squirrels have gained access to the property. We will devise a squirrel treatment plan using traps that will safely and effectively eradicate the squirrel infestation. 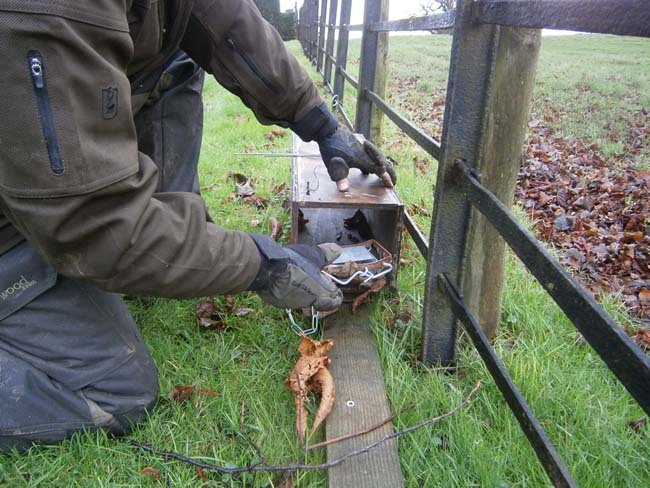 We will revisit at regular intervals to check the traps. Throughout the treatment you will be informed of our findings and detailed reports will be left with you. We will look for proofing issues and offer our proofing service that uses specialist products to proof gaps. We will offer free advice on how to prevent future squirrel infestations. Squirrel Damage: When squirrels gain access to roof spaces, they can cause significant damage. They often chew their way through soffits and fascias (both wooden and pvc) to gain access to our lofts. They will displace roof tiles, chew lead flashing and shred roof felt, which leads to the risk of water ingress when it rains. Once inside they will chew roof beams, rafters, plasterboard and stored items. They often chew electrical cables and water pipes, which introduces the risk of fire and flooding. They will often tear up loft insulation to construct improvised dreys (squirrel nests), which can significantly increase the heat lost through ceilings. As our lofts are often used as stores, many of these items are prone to being damaged by squirrels. Squirrel Contamination: Just like rats and mice, squirrels will contaminate any area they are active with droppings and urine. As our lofts are usually used as storage areas, this can result in many materials being contaminated, including the loft insulation. Young squirrels can often drown in storage water tanks resulting in water contamination. Dead bodies and nesting material will also attract decomposing flies and beetles that can then cause an infestation of insects that spreads to the living areas of the property. Squirrel Tree Bark Stripping: Grey squirrels will often chew the bark of trees to get at the sugars that are transported in the tissues under the outer bark. This damage occurs in tree species such as sycamore, beech, oak, sweet chestnut, spruce, pine, larch and Norway spruce and usually occurs on trees that are between 10 and 40 years old. This chewing impairs the growth of the tree and can result in tree death when the tree bark is completely ringed. It is estimated that bark stripping can cost around 10 million pounds annually to the forest industry. This figure does not take into account the damage that squirrels can cause to amenity woodland and private arboretums. Grey Squirrels Displace Red Squirrels: In broadleaf and mixed forestry, grey squirrels have a significant competitive advantage in that they can digest tannin rich seeds such as unripe acorns, which red squirrels can only digest once they have ripened. Therefore, crops of seeds can be harvested by the grey squirrels much earlier than red squirrels. Grey squirrels will also raid the stores of seeds that have been hidden by red squirrels. Grey squirrels are much bigger than red squirrels and can live in greater densities resulting in red squirrels being displaced from the broadleaf woodland where they were once a common sight. There is also a virus that grey squirrels carry called squirrel pox virus, that has no effect on grey squirrels but is lethal to red squirrels. Red squirrels usually die of dehydration within 2 weeks of contracting the virus. Grey Squirrels Destroy Bird’s Nests: Due to the fact that grey squirrels can exist at higher densities, they will have a greater impact on populations of woodland birds, whether that is by predation of eggs and chicks or by usurping potential nesting sites. Squirrels will often chew through the access holes of bird boxes to gain access the eggs and fledglings inside. How do squirrels get in to a house or business? Squirrels are excellent climbers and jumpers, which allows them to easily gain access to roofs. They have extremely sharp claws that allows them to gain purchase on most surfaces such as trees, wood, stone and brickwork. So long as the substrate upon which they are climbing has a rough enough texture, the squirrel will be able to climb. The squirrel also has an anatomical adaptation of their rear ankles, which allows them to rotate the rear feet 1800 when they are descending. This ability allows them to gain purchase on any object more firmly and thus enables them to run down most structures head first. Gaps in the roof: Squirrels will access or enlarge any gap that leads to the roof space. Soffits and fascia boards often have small gaps that the squirrel can easily chew to make a sufficiently sized hole for their body to fit through. They often gain access under the tiles of roofs and have been known to actively displace roof tiles. Unguarded chimneys present excellent opportunities for squirrels to enter and from there even gain access to the living rooms within the house. Gaps in brickwork/stonework: Large gaps in the brickwork/stonework of outer walls will also offer opportunities for squirrels to either access the cavity walls or move upwards to the roof space. Trees and Climbing plants: Trees that overhang roofs are readily used as access points by squirrels and even large gaps from branches can be overcome by the jumping ability of squirrels. Vegetation such as ivy and wisteria that often adorn the external walls of buildings offer ideal climbing frames for squirrels. Wires and Cables: Electricity cables and telephone cables can be traversed by squirrels which then gives them access to the roofs of properties. External Pipework: Drainpipes and soil pipes can easily be scaled by squirrels, which will often allow them to access the roof. What are the signs of a squirrel infestation? Live squirrel sightings: Seeing live squirrels, both young and adults, running around a property is an obvious confirmation that a squirrel infestation is present. Regular sightings of squirrels on the outside of a building might indicate that squirrels are accessing or attempting to access our roof spaces. Squirrel Droppings: Squirrel produce around 20 dropping per day. Adult droppings are 7mm long and are generally more rounded than rat droppings. The size and colour of the dropping can vary dependent on their diet and the age of the squirrel. The texture of the dropping can also tell us if the droppings are fresh or old (fresh droppings have a higher moisture content, so appear shiny). Squirrel Noises: Often the first indications of a squirrel infestation are the scratching, bounding or chewing noises that are heard in or on the roofs of a property. The noise can be considerable and will cause disturbed sleep for the residents below. This disturbance increases significantly when females choose the loft space to nest and have young. Squirrel Chewing Damage: As squirrels have constantly growing incisor teeth, they are constantly chewing things in their environment. On some items this can leave the indicative impressions of the incisor teeth. As their incisor teeth are bigger than a rats, the teeth can impart substantial damage to the items they chew. We have seen significant damage done to roof timbers, pipe insulation, water pipes, electric cables which has serious financial implications. Squirrel Dreys (Nests): When living outside, squirrels will construct dreys in the branches of trees. These are usually a mass of swigs surrounding an inner sleeping/resting chamber. Our roof spaces offer an ideal alternative nest site, in that they are warm, dry and safe. Our roof spaces also provide nesting material in the form of loft insulation. This insultation is often rearranged into one large mound that forms their improvised drey. Squirrel Footprints: In the dusty environment of a roof space, footprints can often indicate that squirrel and not rats or mice are the culprits responsible. Squirrels like rats and mice have 4 toes on the fore feet and 5 toes on the rear feet but the size of the prints is the key difference. Squirrel Smell: The presence of squirrels in a roof space produces a distinctive stale odour caused by the build-up of droppings and urine. This results in the need for thorough cleaning and disinfection after the infestation is eradicated. When we have carried out our initial survey of your property, we will then devise a control programme to eradicate the squirrels, which will involve the use of squirrel traps. At Kestrel Pest Management we have many years of experience situating, baiting and setting traps, and have the know how to deploy the right trap in any given situation. 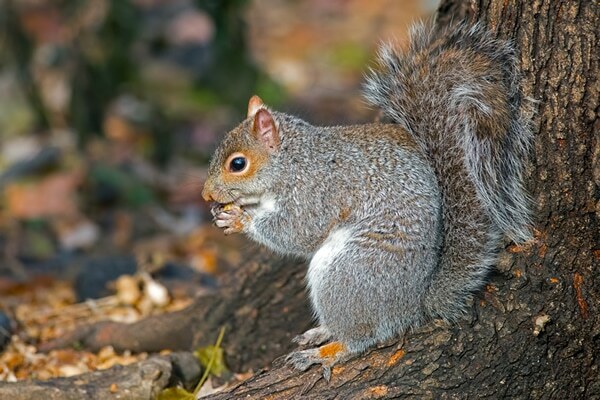 As grey squirrels are an invasive non-native species, they are prohibited from being released or allowed to escape into the wild (Schedule 9 Wildlife and Countryside Act 1981). Therefore, the law requires that any squirrels that are live trapped to be killed in a humane manner. Squirrel Traps: Squirrel traps can be baited with an attractive bait that will entice the squirrel to investigate the trap. The trap needs to be set in a location where the squirrels are active. Some traps can be adjusted to various settings, so the slightest touch triggers the trap. These traps need to be checked on a daily basis, so they can be emptied and reset. Safety Considerations: Before undertaking any treatment, we will carry out a risk assessment to ensure that any risks to people, animals and the environment are minimised. Follow-up Schedule: It is essential that we revisit daily to ensure that any traps are emptied and reset. During these revisits it is essential to review the control programme so that the squirrel infestation is successfully eradicated. 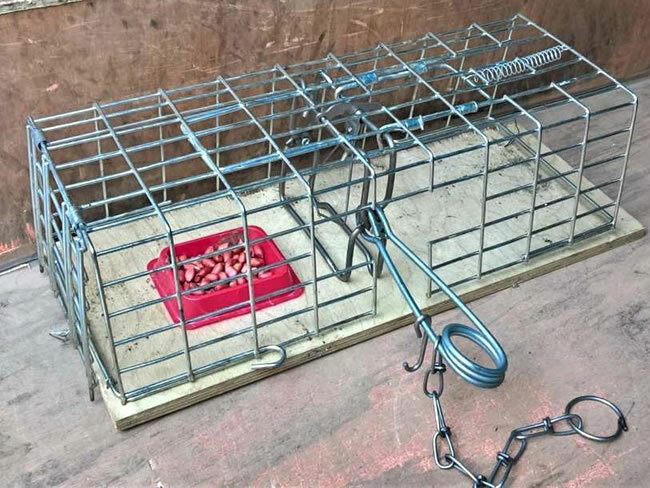 Squirrel Treatment Completion: When the treatment is completed, and the squirrel infestation has been eradicated, it is essential that we remove all the traps. We will then undertake any proofing issues that have been requested by the customer. We have an array of specialist professional proofing products that will ensure that squirrels are denied access to your home and business. Appearance: The adult grey squirrel (head and body) is 250mm long and the tail is around 200mm long. The colour of their fur varies with the season; the Winter coat is grey above with a white underside, the Summer coat is greyish brown above and is much shorter. An adult squirrel weighs around 500g. Life Cycle: Squirrels become sexually mature at around 7 to 10 months and after mating give birth to between 3 and 7 young (kittens) 44 days later. The kittens are born blind, hairless and totally dependent on their mother. There are two breeding seasons in a year, with the first litter born in February/March and the second litter born in August/September. The grey squirrel (Sciurus carolinensis) was deliberately introduced to Britain from North America on several occasions between 1876 and 1929. It has since spread to 90% of England and Wales and is becoming a serious problem in parts of Scotland. It is now estimated that there are £2.5 million grey squirrels in the UK, compared to only 140,000 red squirrels. Squirrels are master climbers due to several physical adaptations: the tail is used as a counterbalance when they are running through tree branches, they have very sharp claws that allow them to gain purchase on textured surfaces, squirrels rear feet can rotate 1800 which allows them to run down rough surfaces. The diet of the grey squirrel is varied and will eat a large range of foods such as, nuts, seeds, fruit, buds and shoots, fruit, fungi, insects, eggs and nestlings. In Autumn, squirrels will hide away stashes of nuts and other foods to enable them to survive the winter. Sometimes lawns can be damaged when squirrels tear up the turf to cache food. Grey squirrels will make regular trips to gardens to feed from birdfeeders, which are often damaged when the squirrels chew through them. The tail of a squirrel has very long fur, which is curled around the squirrel when it is sleeping, keeping it warm. The tail is also thought to be important as a means of communication as when it is alarmed it will flick its tail. Grey squirrels are diurnal (active during the day) with their peak activity in the early hours of the morning and late in the afternoon. Have a problem with squirrels?